In Paros’ capital of Parikia, there is the holy church of Panagia Ekatontapiliani, also referred to as the “Church of 100 doors”. 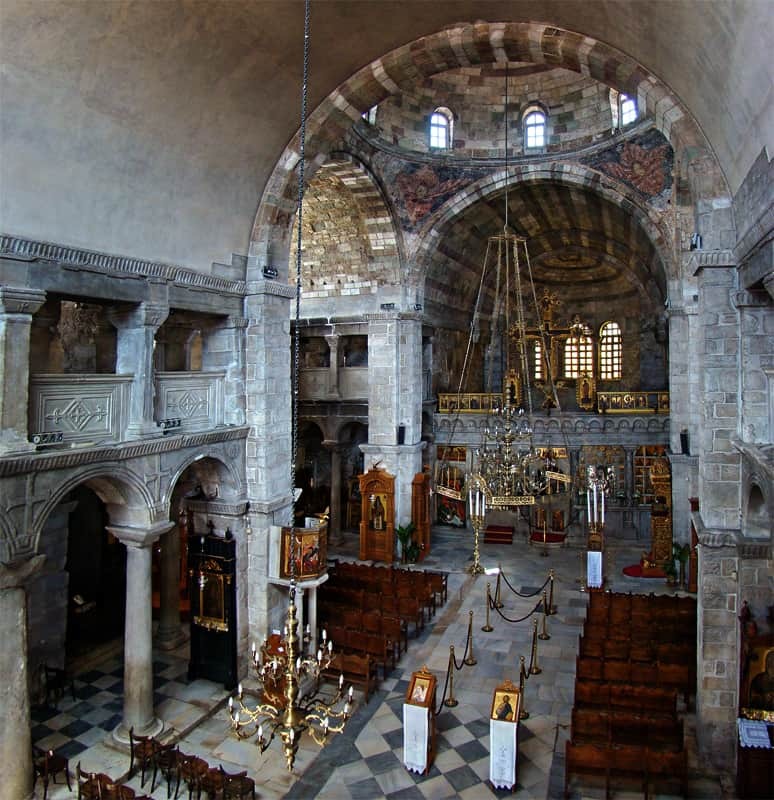 Built in the 4th-century AD, it is one of the best preserved Orthodox churches of Greece and is one of the most important Byzantine monuments in the nation. According to legend, the original church was constructed by Saint Constantine, first Emperor of Constantinople, after the offering of his mother, Agia Eleni. 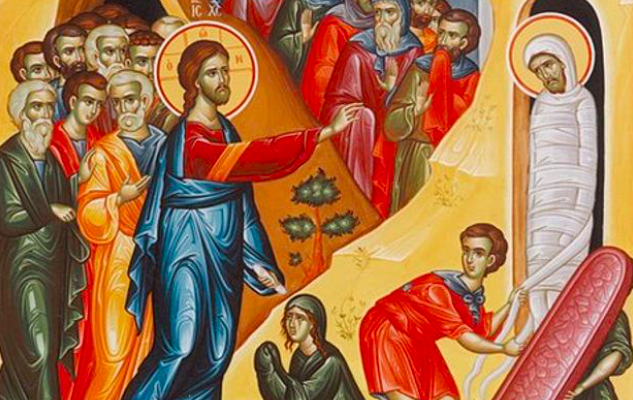 During her journey to the Holy Land to search for the Holy Cross, a storm brought Agia Eleni to Paros, where she promised to Panagia (Virgin Mary) to build a large church if her quest were successful. This church was built by her son Constantine after her death and it was dedicated to the Assumption of the Virgin. The original church was constructed in the 4th century A.D. and was a three-aisled basilica. In the 6th century A.D., the Byzantine Emperor Justinian made reformations to the church and added a dome. More reformations were performed through centuries and today the church is a complex of Paleochristian, Byzantine and post-Byzantine elements. The first Christians used to build their churches with parts of the ancient temples, this church also has marble parts from antiquities located in Paros. 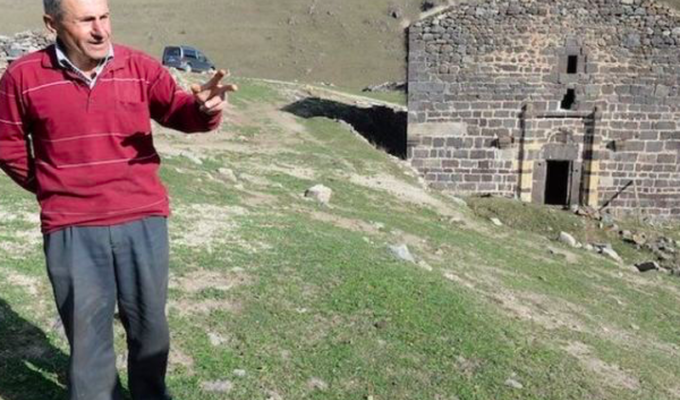 The name Ekatontapiliani means the Church with the Hundred Doors. According to tradition, the church has 99 doors and a secret door will open when the church of Hagia Sofia in Constantinople will become Orthodox again. 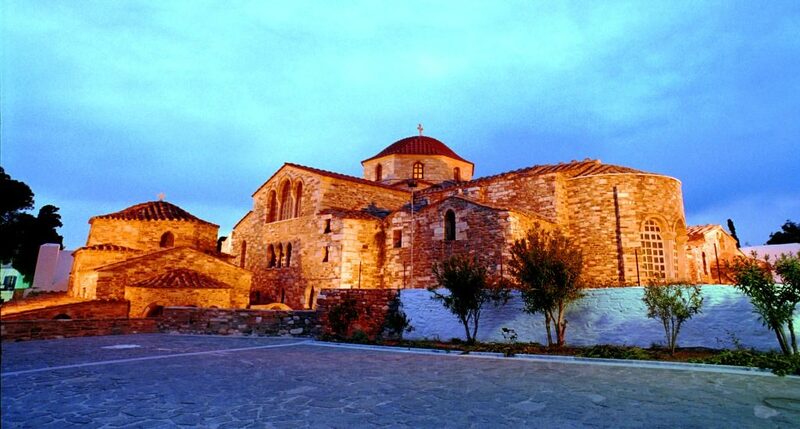 The entire complex of Ekatontapiliani comprises the main church of Virgin Mary with the internal chapels of Agios Anargiros, Agios Philippos and Osia Theoktisti (who loved and died in this monastery in the 9th century A.D.). 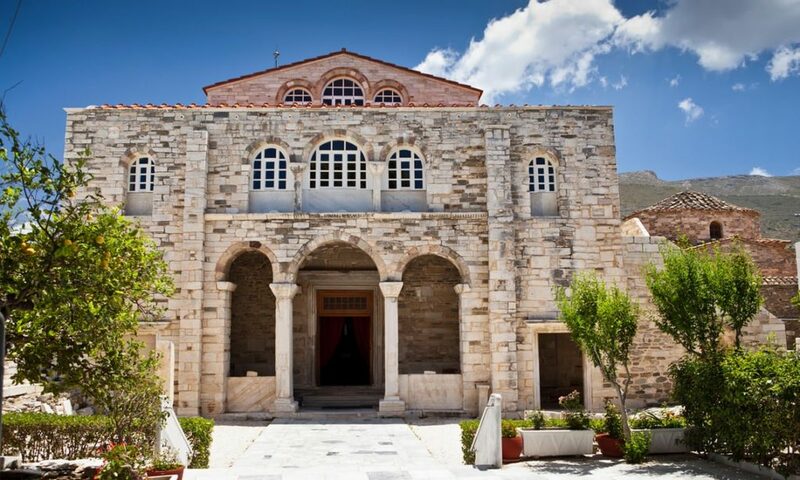 Outside the main church, there are the chapels of Agios Nikolaos, Agia Theodosia, and Agios Dimitrios. In the yard of the monastery, there is also a baptistery and the cells of the monks. The Monastery of Panagia Ekatontapiliani celebrates on August 15th in a large religious festival. 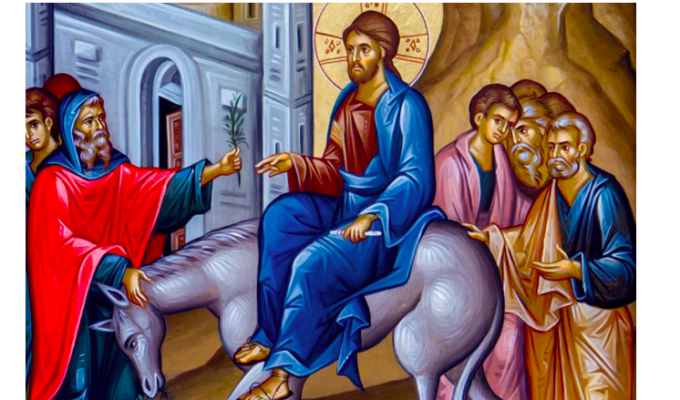 It is considered the protector of Paros and its icon is believed to be miracle-working. 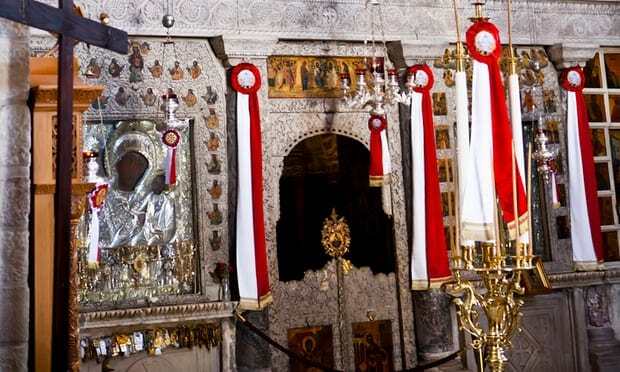 During this holy period, there is a sense of sadness and joy, with the festivities beginning on the 13th and 14th of August with church services at Panagia Ekatontapyliani and reaching their climaxing pick on the 15th of August, when the litany of the icon of the Virgin Mary takes place through the traditional streets of Paroika.